It’s about time we have posts on Universal Studios Japan! After writing updates on Universal Studios Singapore for over 5 years, I’ve finally visited another Universal Studios theme park. Yes I know it’s late, so don’t remind me. I seem to visit major theme parks only when some massive anniversary event is going on. 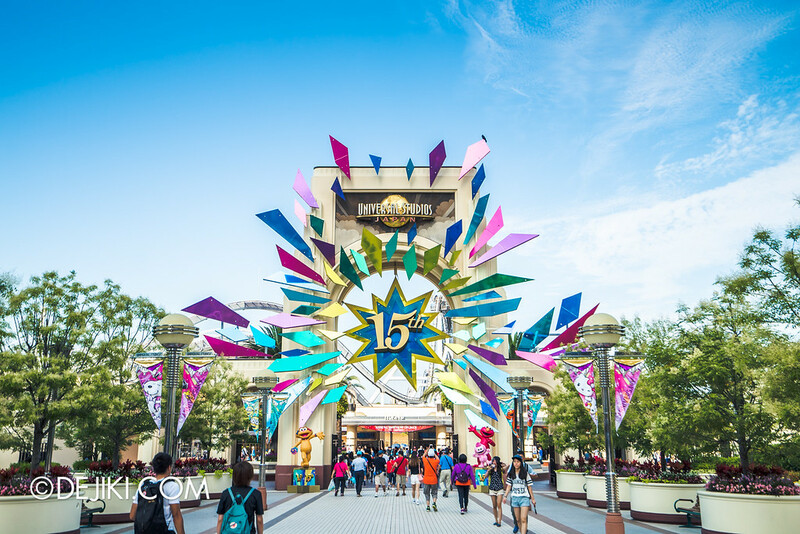 Universal Studios Japan (USJ) is celebrating its 15th Anniversary this year with the RE-BORN (or RE-BOOOOOOOORN) campaign – a theme that simply intends to rejuvenate visitors’ hearts with over-the-top experiences. Unlike USS, the Japan park is massive and full of things to do. A single day would be insufficient. 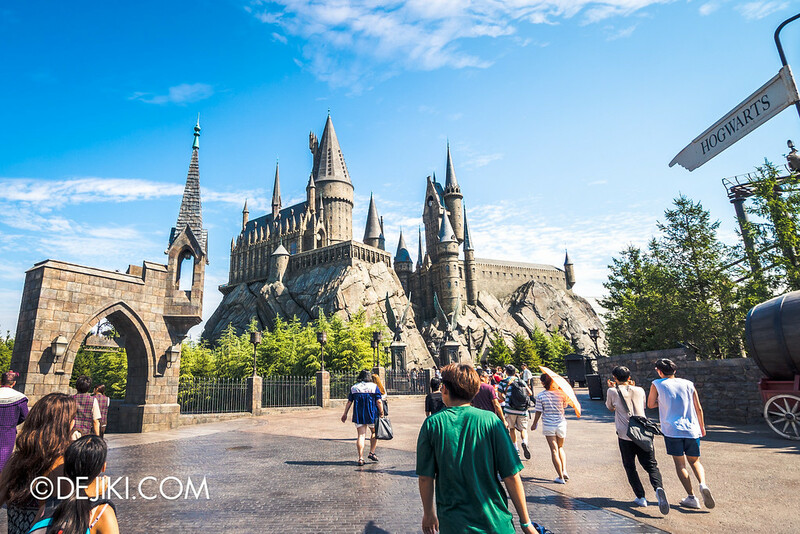 I spent two days at Universal Studios Japan, bringing a group of family and friends around – and we had to rush around despite some planning and heavily optimising our time there. It’s not a walk in the park. According to the Themed Entertainment Association, USJ is the busiest non-Disney theme park in the world, seeing close to 14 million guests in 2015 alone. 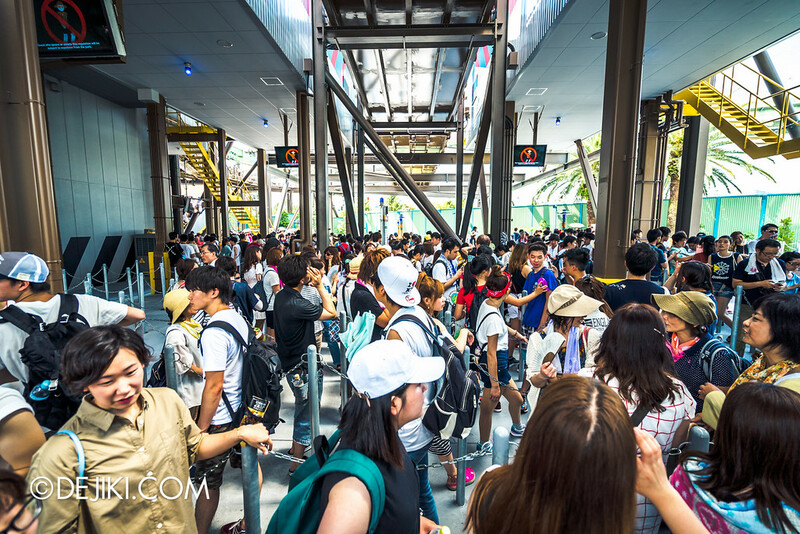 It is a huge park with 9 themed zones, and the park’s roaring success could be attributed to its relentless reinvention (and heavy investments) to gain an edge over its rivals in Tokyo. The park has a mix of ‘first of its kind’ attractions, classic Universal rides, as well as unique Japan-only experiences. Beyond the overwhelming line-up of attractions and activities, the park truly shines in its efficiency at its attractions. 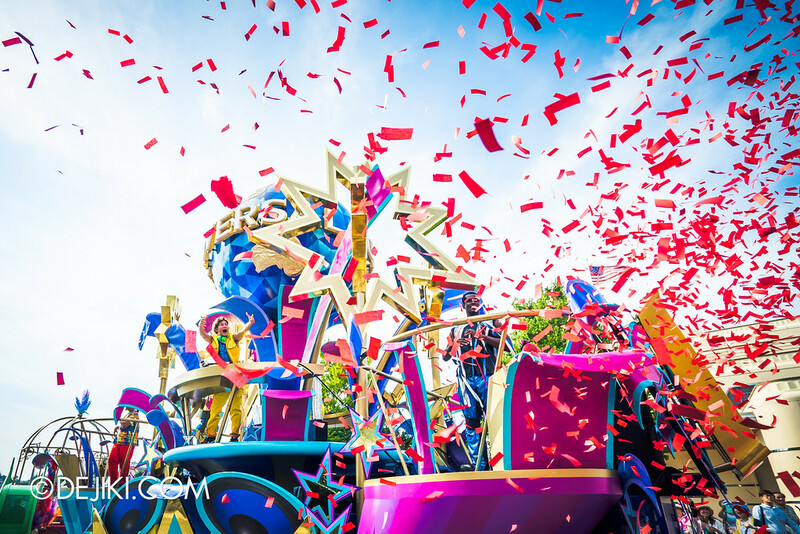 Rides are manned with more than necessary crew, ensuring that every aspect of guest experience is rarely interrupted. Everything looked like it was operating at full capacity. The park is almost perfect – its shortcomings (and ways to address them) will be covered in a future Tips and Tricks post. Just like our Grand Photo Tour on Tokyo Disney Resort, the Universal Studios Japan RE-BORN photo tour will include tips, info on the park’s attractions, and A LOT of photos. That’s why it has its own series banner! This is going to be quite a big series, with over 20 entries planned at the moment. A third of them cover The Wizarding World of Harry Potter, Universal’s most powerful money-spinner. When is it coming to save USS? Accompanying this series will be some travel posts from the same trip, tentatively known as the Great Osaka Tour (aka G.O.T) which will feature non-theme park attractions. Now that USB will apparently feature both Hogsmeade and Diagon Alley, we can only hope that Genting has the guts to do “Fantastic Beasts”. There is some space behind the Rockefeller facade to establish a “secret society” of wizards and a ride/shopping area district without having to implode an area (namely the transformation of Egypt to Diagon Alley suggestion). Well if USS really needed to tear down an area to create a new zone, I’d guess it would be Madagascar since it has the least amount of built-up. And also because A Crate Adventure is such a huge disappointment that it should be razed to the ground. The other option is to redevelop the Waterworld amphitheatre. It has a huge footprint that could easily accommodate a new zone. But I doubt USS will be willing to forgo such a large events space.. The USJ series will begin after Halloween Horror Nights 6 coverage completes! Hi, any updates on USJ? I really love your other reviews! Will check back soon!